Payment information is required for enrollment in class. In the event that we cannot place you in the class of your choice, your money will be refunded 100%. Credit Card payment through our website is our preferred method of payment. We also accept cash, checks, and credit cards at the front desk, or you can pay by phone or mail. Annual Registration Fees: $35.00 fee is due when you enroll and $25.00 on each anniversary date. This fee covers liability insurance costs for activities and administrative costs. 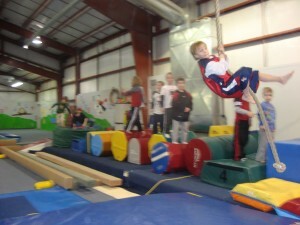 Current Members receive discounts on Birthday Parties, Open Gyms and other activities at LGA. When more than one family member is enrolled at LGA, only the first class with the highest tuition is charged full price. All other classes from your immediate family are discounted 20%. If your child takes more than one class at LGA, additional classes are discounted 40%. LGA’s GUARANTEE: If you are not satisfied, for any reason within the first 30 days, we will refund your tuition and registration.